As part of its gas coal power and renewables practise IHS Markit provides in-depth analysis of regional and global wind energy markets assessing future growth in light of political and regulatory drivers as well as competitive strategies of utilities developers IPPs technology promoters and manufacturers. Impax manages two 'buy-to-build' renewable private equity infrastructure funds with over $500 million of capital. Our team has relevant sector experience from the 1980s. Investments to date have been in wind and solar in France Germany Ireland Finland and elsewhere in the EU. We are also active in North America. InControl S.A. is an internationally operating pioneer in renewable energy projects and leader in non-recourse financing for wind projects. Its mission is to safeguard the interests of investors. InControl has over 20 years' experience in the oil and gas and wind energy sectors and has realised 22 wind power plants internationally. Ingeteam is the world’s #1 independent supplier of wind power converters and a leading company in the provision of O&M services. Indar, an Ingeteam company, is a world class leader in wind generators. The Group has manufacturing facilities in Europe, Asia, North and South America, and sales and service centers strategically located all over the world. innogy SE is Germany’s leading energy company with revenue of around €46 billion (2015) more than 40000 employees and activities in 16 countries across Europe. With its three business segments Grid & Infrastructure Retail and Renewables innogy addresses the requirements of a modern decarbonised decentralised and digital energy world. Smartive is a company dedicated to developing IT Platforms to improve control monitoring and diagnosis of wind turbines. Smartive improves existing SCADA solutions by using advanced algorithms providing unique cloud services. 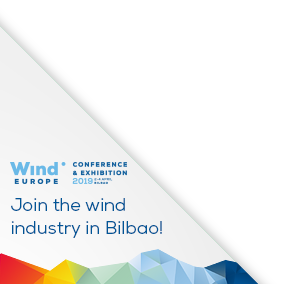 Smartive is specialised in Intelligent Platform Development and Cloud Computing solutions to improve operations and maintenance of wind turbines.